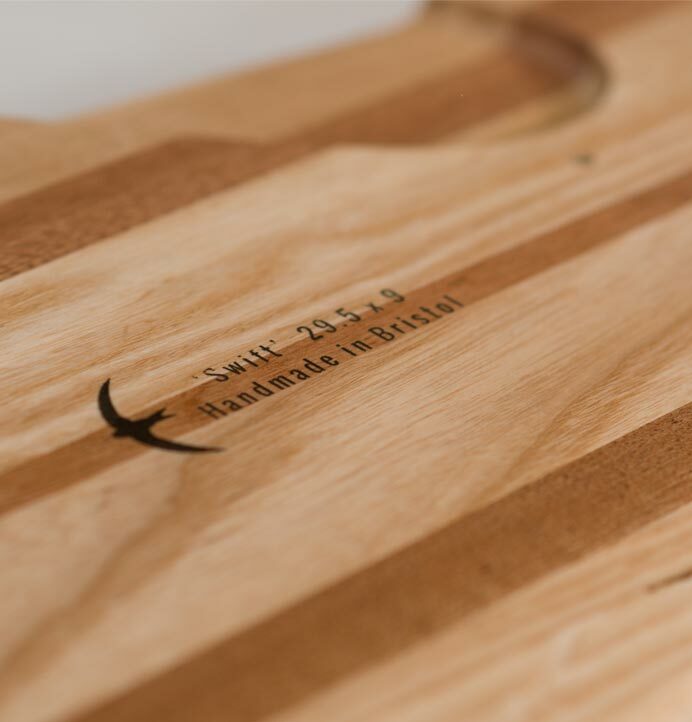 Our longboards marked “Handmade in Bristol” are just that – handmade by us, right here in Bristol, UK. They are pressed, cut, shaped, printed and finished, one at a time, by hand, by skaters for skaters. 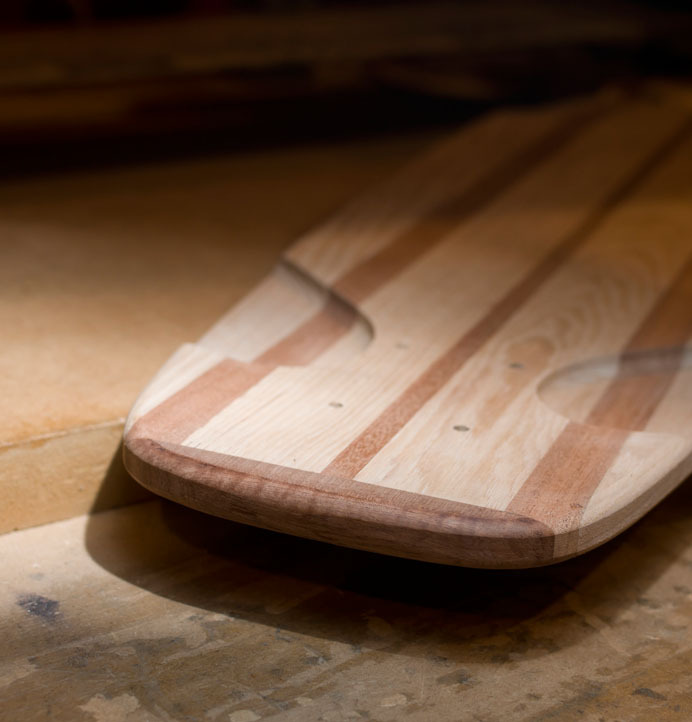 No giant CNC robots, no mass production, no faceless factory floor… just a love for skateboarding mixed with a lot of sweat, sawdust and elbow grease. We’re carefully selecting materials based on performance and aesthetics, but also on environmental impact and sustainability of production. 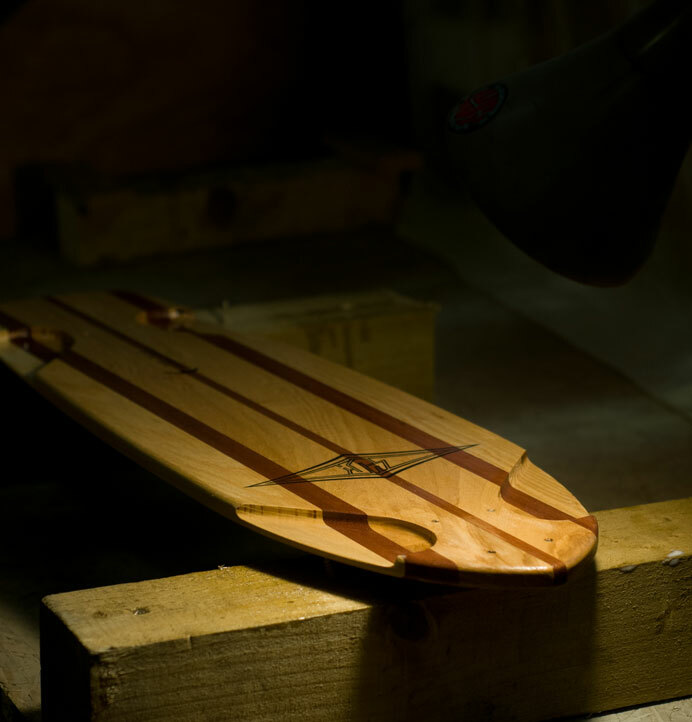 We started Lush Longboards in a Sheffield cellar, every board made by hand. 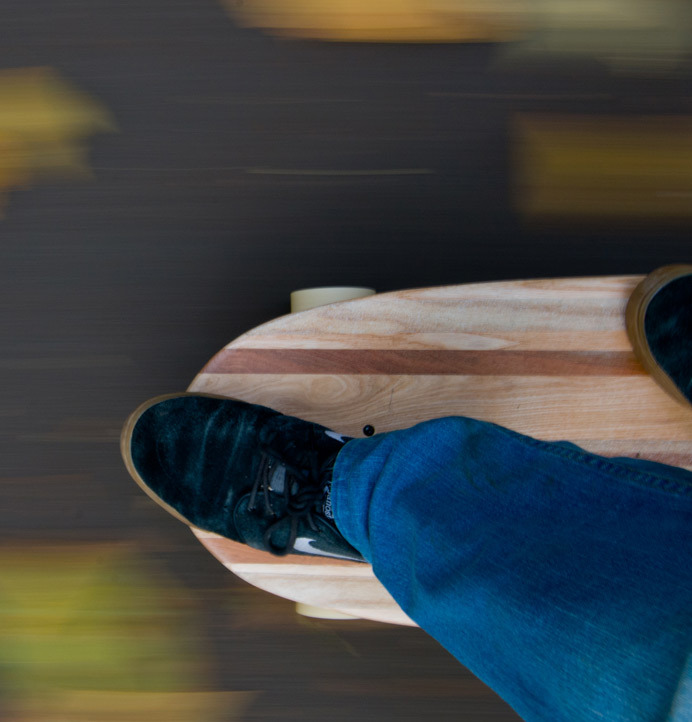 We are going back to our roots as a brand and a business by hand crafting longboard skateboards, built with passion and now nearly two decades of experience. Each deck is it’s own story, and every one is unique. 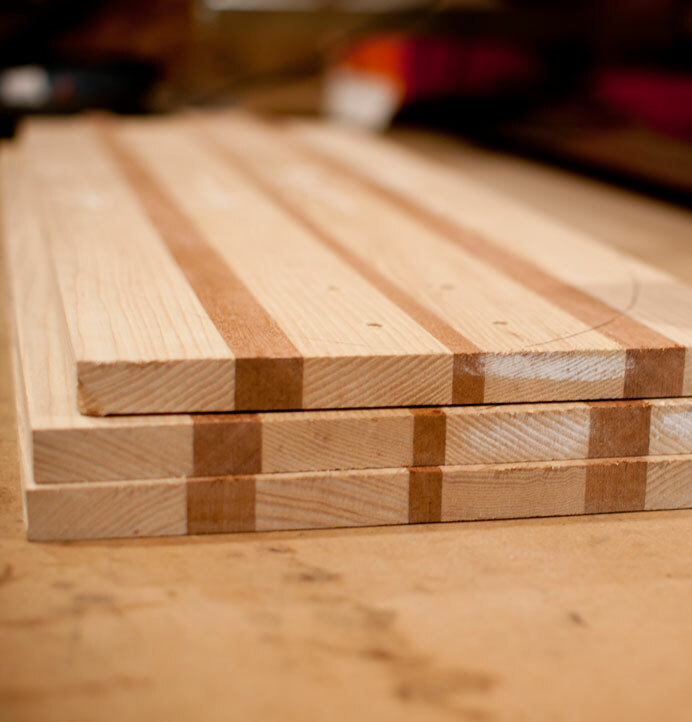 Our blanks are laminated using time-honoured joinery techniques from a selection of hardwoods. 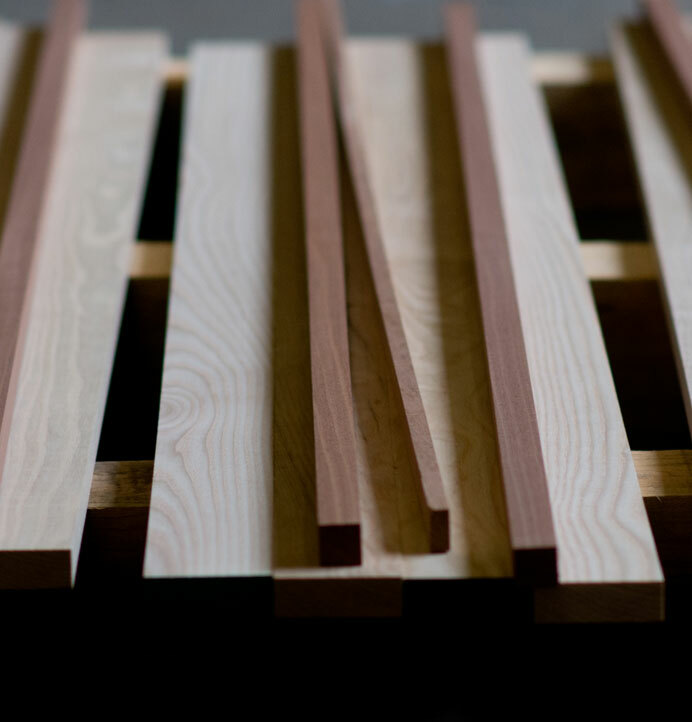 The resulting blanks have the perfect blend of strength and natural flex. 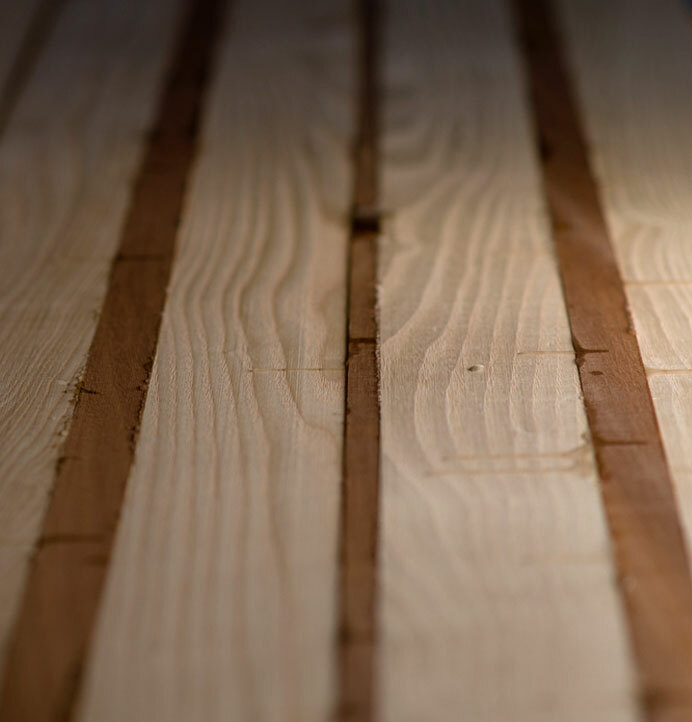 We match, arrange and orientate our timbers to give a consistent finish to each deck. The natural grain of the wood is our “graphic,” so it’s important that every deck is pressed with the final product in mind. 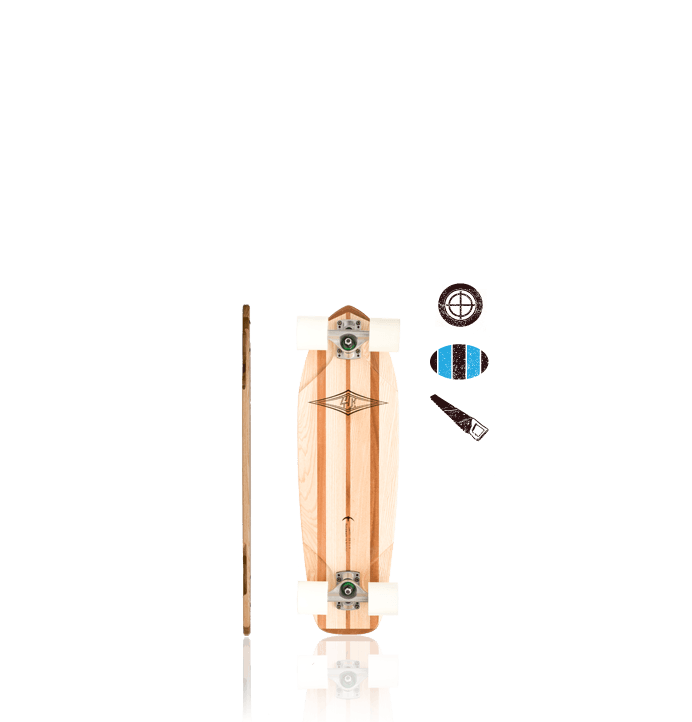 We add in the hardwood nose and tail blocks as a “second press” for each blank, to add a classic surfy vibe and protect the more vulnerable areas of the deck. 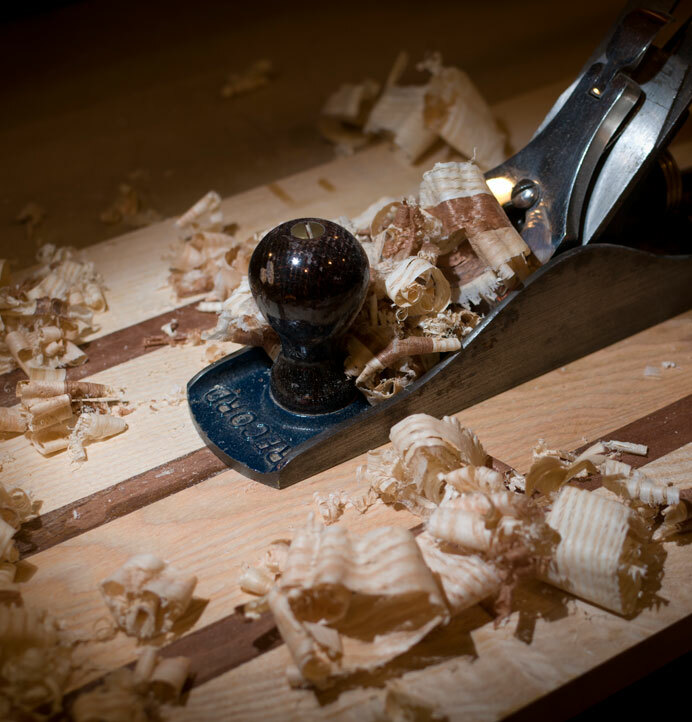 Timber is planed to dimension, and the grain matched and ordered for the best looks and flex. We use the legendary TiteBond III to hold everything together - waterproof, non-toxic and solvent free. A finished blank, ready for flattening. The uncut blanks usually need a bit of tidying up straight out of the press, to make sure the deck is 100% flat and true, and to remove any excess glue that’s squeezed out of the joints. We flatten everything with a handplane, then run it through our belt sander to get things spot on. 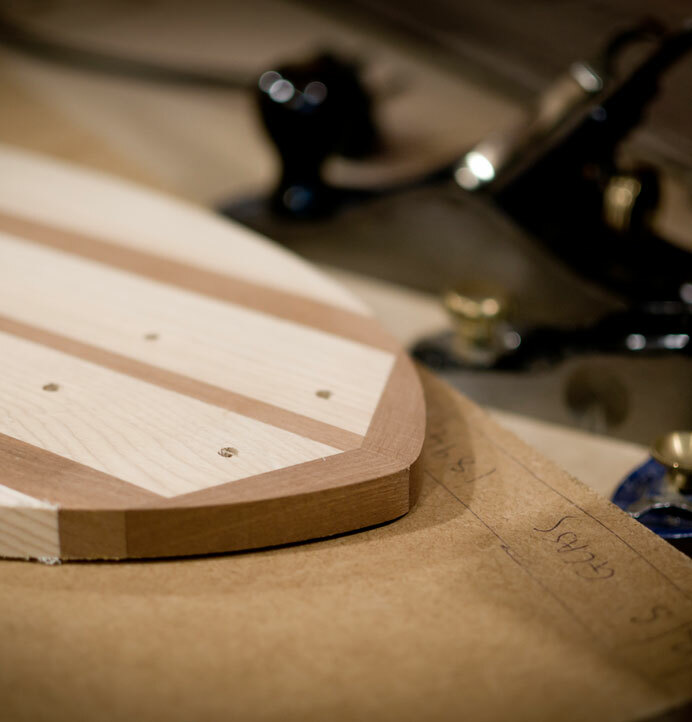 Longboards made in England, with tools made in England. Everyone loves a CNC machine… but using one here would miss the point. 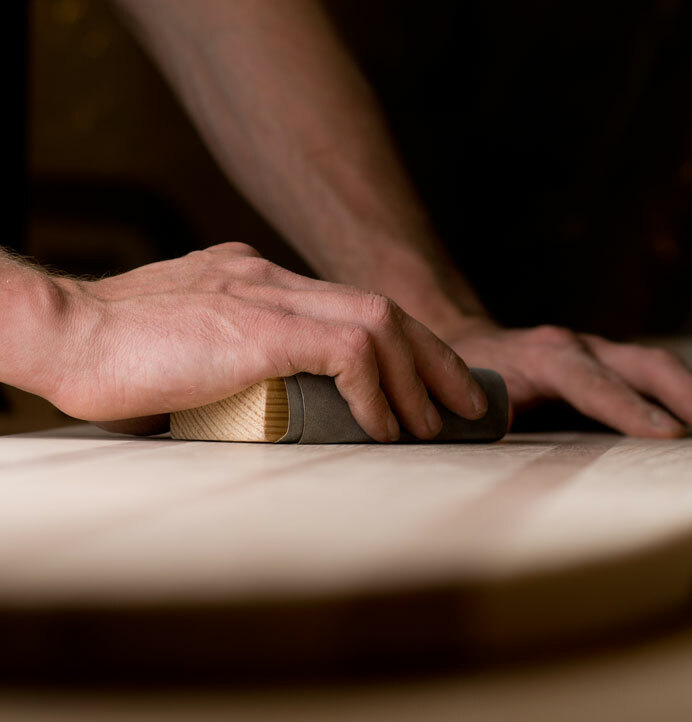 We cut our blanks by hand and eye, relying on hand tools and the shapers eye to produce the profile and shape that we want. 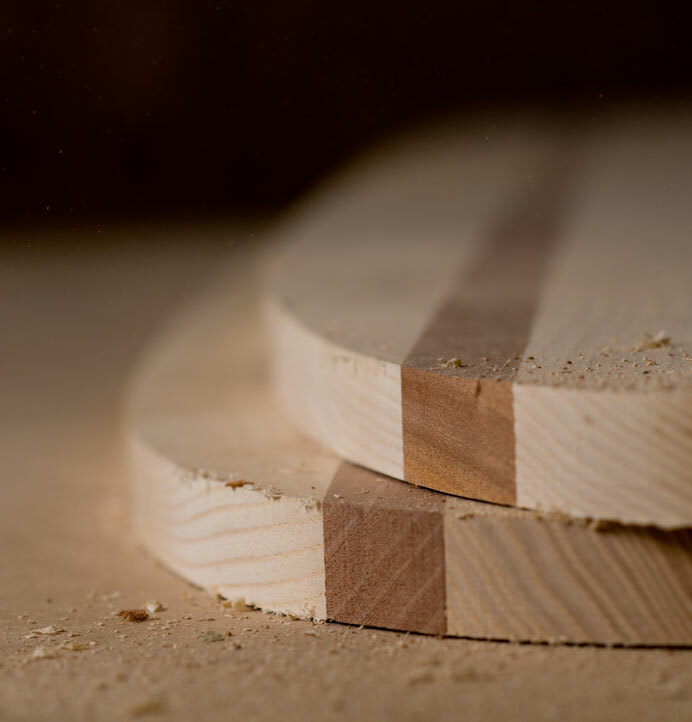 After flattening, each deck is roughcut with a handsaw, then finished with a router. With a hardwood layup like this, care must be taken to avoid tearout and keep a super-smooth finish. The huge wheel wells are cut using our own custom jigs, and we’ve positioned them to exactly avoid wheelbite when set up. Doing things by hand takes longer of course… but a robot can never replicate the love and care that a human being can put in. Router-cut wheel wells allow bigger wheels for a smoother ride. 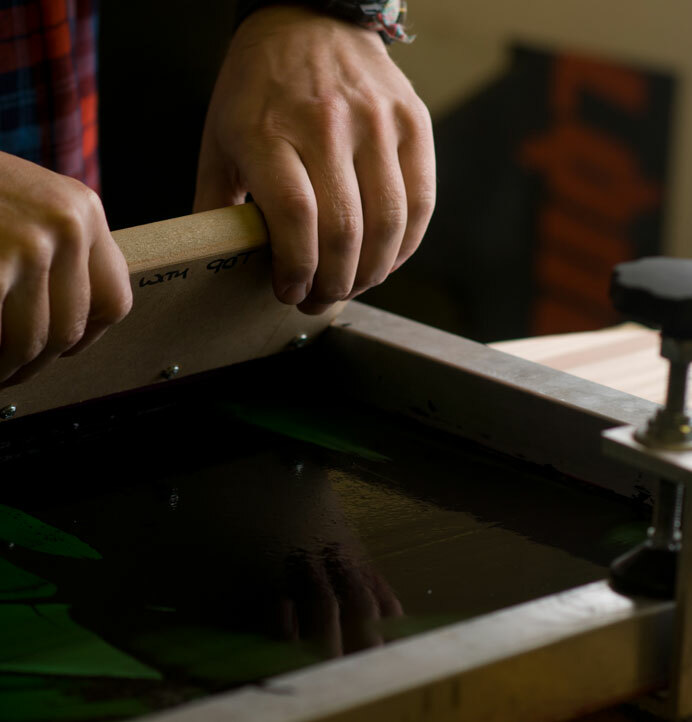 We use our screenprint setup to apply simple graphics to each deck – again, done entirely by hand, one at a time. 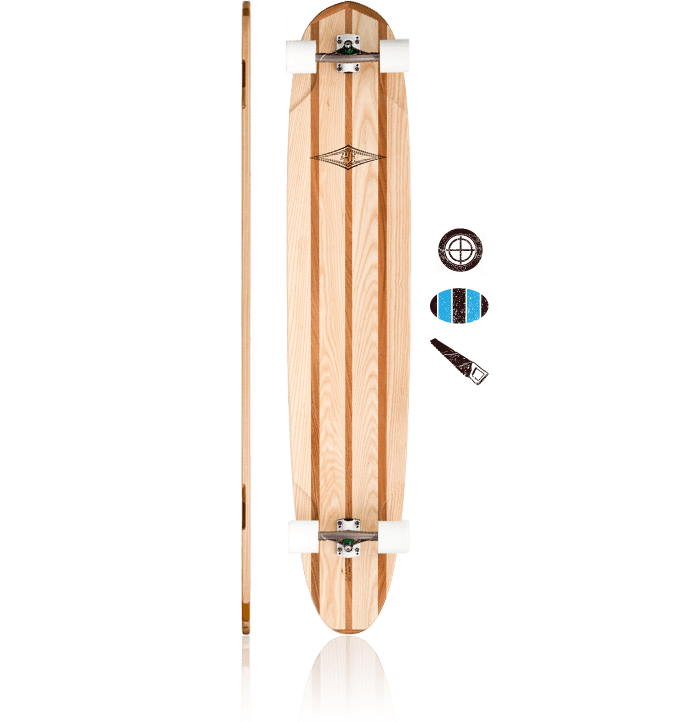 These decks get a graphic top and bottom, so your board looks perfect from every angle. Every board is then sanded (again!) by hand and finished with multiple coats of super-tough protective laquer to keep the weather out and enhance the natural wood grain. We use a water based laquer that’s kinder to the environment. Can't beat a bit of 600 grit and elbow grease. A Swift about to get the final coat of laquer. 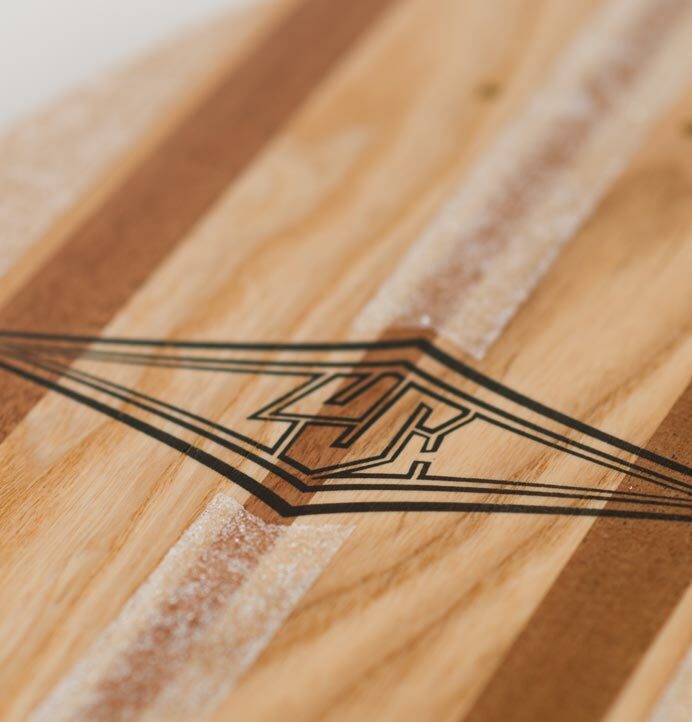 Each deck is gripped with a series of clear griptape strips – keeping things minimal to show off as much of the hardwood finish as possible. We cut around the logos for a nice bit of extra detailing, too. By the way… our clear griptape is actually grippy! Clear griptape is notoriously slidey, but the stuff we use is by far the best we’ve found. Like our decks, it’s made in the UK.